In our search for the best vendors around, we hope to offer something for everyone. One of my favorite styles is what I would call Vintage Hipster. The East Nashville scene is a Mecca of fresh vintage and I'm always inspired when I travel "across the river" to the eclectic mix of Antebellum architecture and Atomic Ranch. A cup of Bongo Java and peek at what's new in Wonders on Woodland," I am transported by the creative vibe that surrounds this amazing community. I grew up with Mid-Century Modern, so it's never been a favorite, but it is slowly edging it's way into my right brain and altering my fascination. 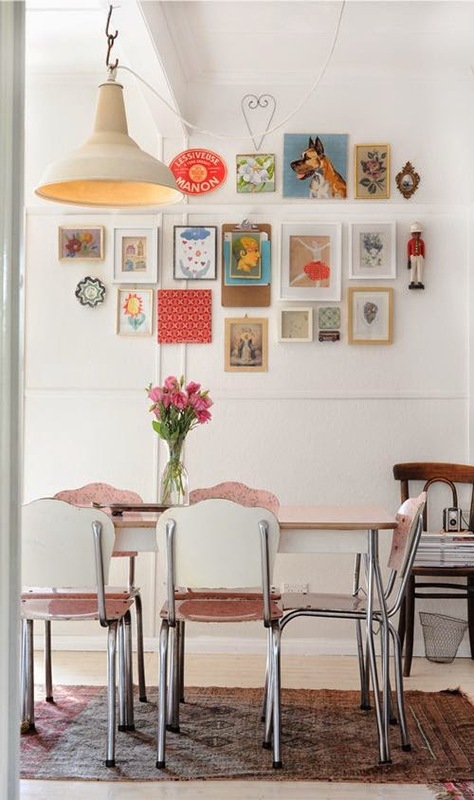 I am currently teetering between the Campy-Lodge look to colorful, eclectic vintage "moderne". I think it would be quite fun rescuing a discarded piece and giving it a second chance as a contemporary. 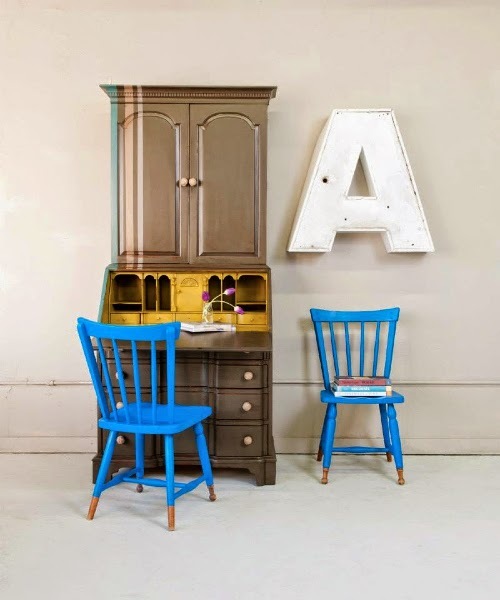 Look at these amazing transformations by Barb Blair, owner/designer of Knack Studio. 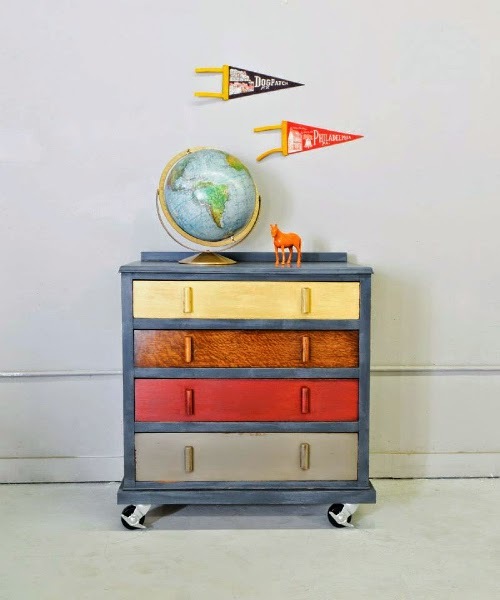 “What started as a kitchen cabinet makeover, slowly and organically grew into the full blown furniture design business that Knack is today.” Barb has created a name for herself through her furniture makeovers with designs that are original, fresh, playful, and full of character. I love the idea of just painting a portion of the piece! Look closely at this updated secretary. The stripe detail and surprise inside just makes me happy! 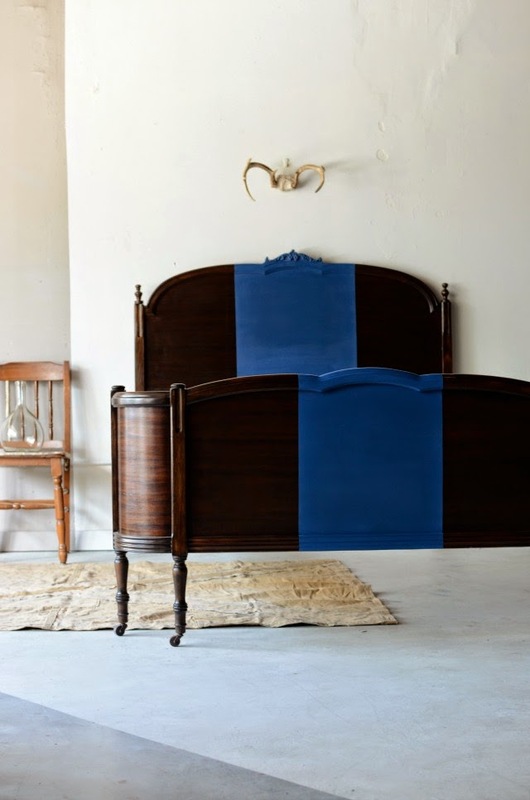 She also has a great eye for styling her pieces, and I love the quirkiness of selective painting. 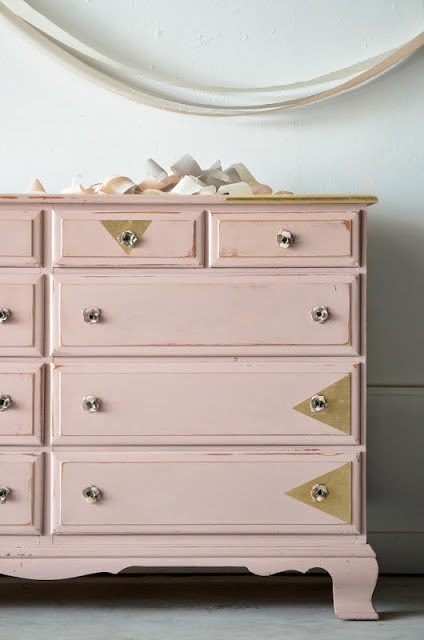 Knack Studio has been featured in Southern Living magazine, Design Sponge, Décor 8, Apartment Therapy and more. 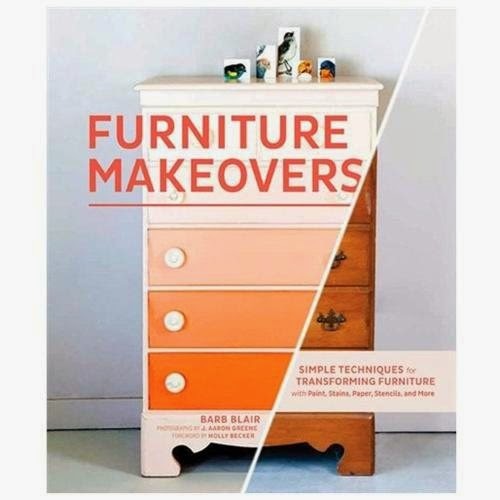 For all you DIY’ers, Barb’s new book “Furniture Makeovers” published through Chronicle Books is available for purchase at Knack as well as anywhere books are sold nationwide. 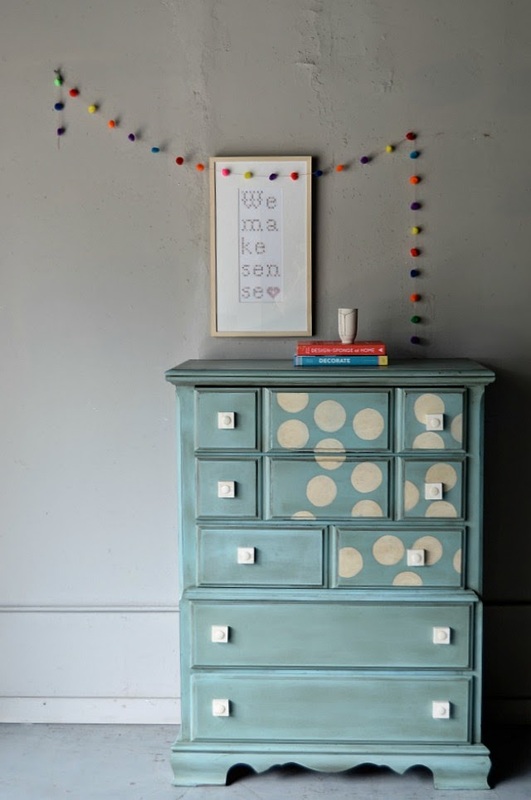 Furniture Makeovers is a step by step guide to creating your very own furniture masterpieces and is packed full of tips, tricks, and inspiration. So don't NOT come to Bella thinking it's going to be all red, white and blue! We have a great round-up of vendors and a smorgasbord of style! Coming in October to "A Spectacle of American Vintage"! Amazing...can't wait to see Knack Studio in October! Sounds awesome - looking forward to another great Bella event!